Walker Stalker Con arrives in Boston! Zombies and Horror infect Boston, with your favorite stars from your favorite zombie, horror and sci-fi hits! A two-day event, filled with celebrities, artists, vendors and activities for the whole family! *Tickets do not include any autographs or photo-ops unless stated otherwise on the ticket type. *Please bring your printed confirmation with you to the event. Bring your confirmation with the QR code on it to registration and we will scan it and give you a wristband and/or badge depending on what you bought. Will call is open from 12-8 Friday and at 8 am Saturday and Sunday. Show hours are: Saturday from 10:30 to 6:00 with VIP entry at 9:00 am and Sunday from 10:30 to 5:00 with VIP entry at 9:00 am. *Walker Stalker Con tickets are non-refundable and non-transferable. 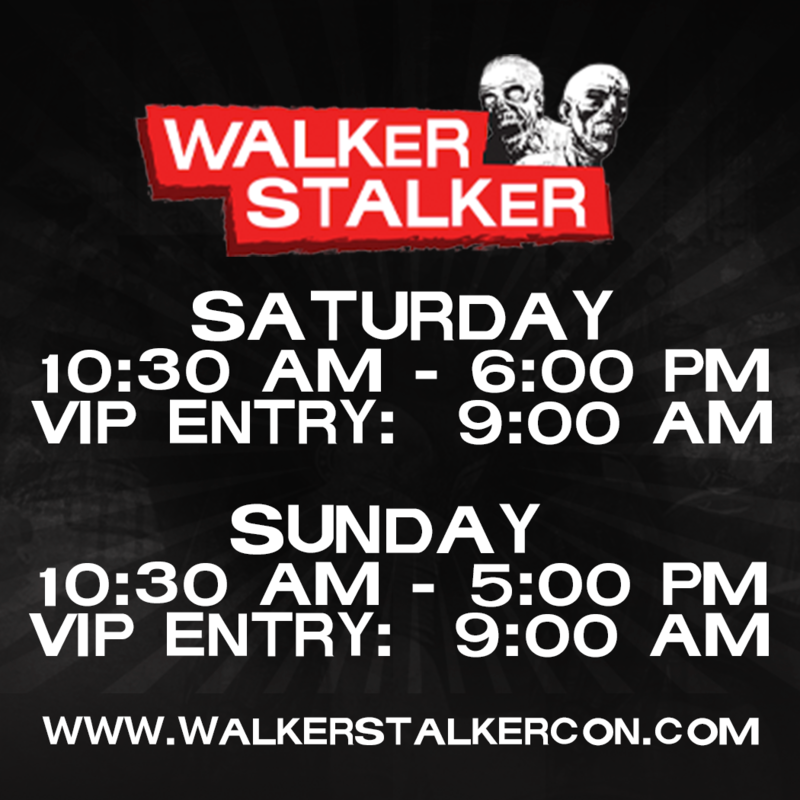 As well, tickets cannot be applied towards future Walker Stalker Cons.